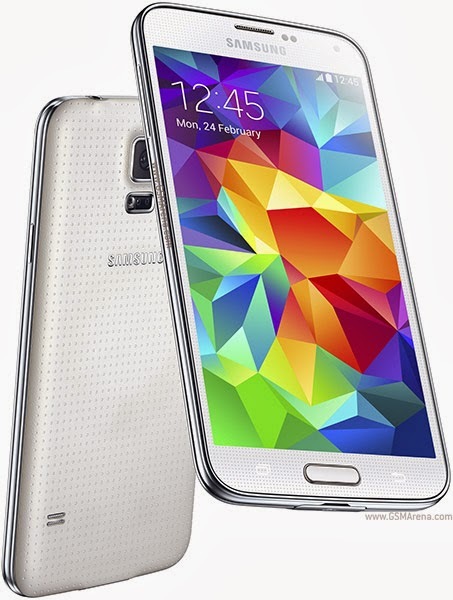 Samsung Galaxy S5 is the latest addition to the popular Galaxy series of this South Korean giant. This time Samsung has ensured that they provide the users everything that they actually want. This handset is a great improvement over all the previous versions and overcomes the various deficiencies seen in the predecessors. The new metal casing and highest resolution display till date are some of the popular characteristics of the device. If you are looking for a future proof device, then this is surely a device to get your hands on. Following are some cool features of Samsung Galaxy S5. Samsung Galaxy S5 is a classy device which boasts of 5.1 touch screen. The device is one of the highest resolutions that you will find in market, i.e., 1080x1920 pixels. The Full HD Super AMOLED version is really cool and provides the best viewing experience to the user. The interface is also well placed and notifications bar look pretty nice. With a 2.5GHz quad-core Snaprafon800 processor, you can wish for a snappier device than this. The 2 GB RAM complements the system really well. Irrespective of whether you are using the device for surfing or for playing HD games, you won’t experience any lag. Not many expected that Galaxy S5 will bring fingerprint scanner in it. The scanner is quite accurate and provides with an extra level of security. However, you need to wake the phone by pressing the home button before you scan your fingerprints, this is an extra step. One of the major improved elements of this device is the 16 MP camera sensors. The fact that the ability of the hardware to process the picture is quite good, the overall experience of clicking pictures is amongst the best. The device can capture a photo in just 0.3 second. The real time HDR, can give you a nice visual representation of what your clicked image will actually looked like. Samsung has played a unique move by integrating a unique fitness technology in S5. The new S Health 3.0 equipped in S5 is a much better and enhanced app as compared to the one found in S4. The 3.0 version has got a heart rate sensor. Apart from that you can track your calories and maintain your regime. This feature is of great use especially in the ages when people are paying too much concern to their health. Anzer Khan is a professional article writer and mobile and technology are his favorite topics. He rates Galaxy S5 as a future proof and effective device has written many reviews on it. You can check the mobile phone prices online.